Schwab and Fidelity account holders each increased charitable grants by more than $1 billion compared with last year. Schwab Charitable and Fidelity Charitable last week reported big increases in grants recommended by their donor-advised-fund account holders. Schwab Charitable donors granted a record $1.1 billion to charities in fiscal year 2015, ended June 30, a 30% increase over the 2014 fiscal year. This was more than four times the rate of increase in total giving in the U.S. in 2014, Schwab said in a statement, citing the Giving USA 2015 report. “As we surpass $1 billion in grants, it is clear that donors are focused on making a material difference in the lives of others through their sustained philanthropic efforts,” Schwab Charitable’s president Kim Laughton said in the statement. Schwab reported that its donors contributed to some 42,000 charitable organizations, with the largest number of individual grants going to nonprofits focused on health and human services, religion and education. And more than $2 million went to relief efforts following the April 26 earthquake in Nepal. In fiscal 2015, Schwab said, 68% of contributions into DAF accounts were appreciated investments or assets, including publicly traded and restricted stock, real estate and interests in private businesses, private equity, venture capital funds and hedge funds. 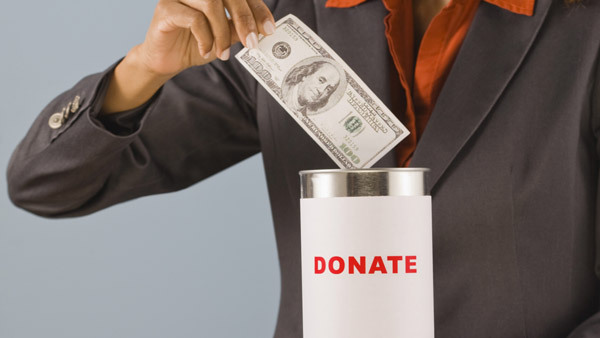 Fidelity Charitable said in a statement that it had made a record of more than 310,000 donor-recommended grants totaling nearly $1.5 billion to charities during the first half of 2015, a 33% increase over the same period last year. “The acceleration of granting reflects our donors’ active approach to philanthropy,” Amy Danforth, president of Fidelity Charitable, said in a statement. Recommended 166 grants of $1 million or more, totaling $329 million, a 60% increase in grants of that size over the first half of 2014. Through June 30, Fidelity said, donors had recommended 5,811 grants, totaling nearly $8 million, designated for the Nepal relief efforts. In its statement, Fidelity released what it called giving guidance for donors who wanted to support the earthquake recovery effort.